Take in an outdoor concert in comfort with the graceful fit and feel of the Mozart from Naot®. 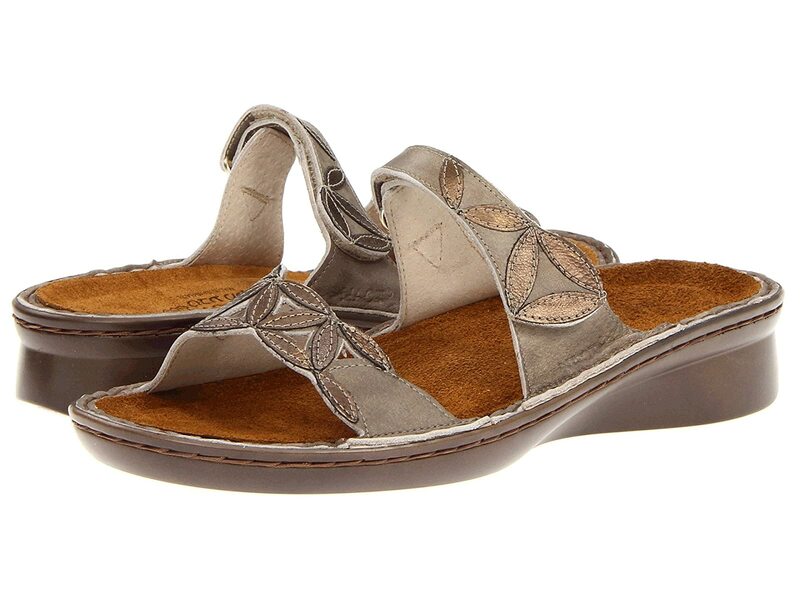 Leather sandal upper with floral details. Slide design for easy slip-on wear. Removable cork and latex footbed with suede lining. High-quality synthetic outsole provides traction and durability.